Real Estate Archives - Page 3 of 11 - R. A. Critchlow Realty Inc.
We just finished uploading this great semi detached home in Leamington on Nancy Avenue. Finished to a high standard on both levels, it’s quite spacious given the open concept layout. The ample natural light on the main floor is reflected of beautiful hardwood in the living room and bedrooms. Check out the virtual tour and Contact Us for your personal viewing today! We’ve just secured a large price reduction on this stunning ranch on Lathrop Lane in Leamington. Perched atop a hill, you have stunning views of Pigeon Bay and Lake Erie to the south. Inside, this home has been meticulously renovated to a very high standard. There’s a custom pool, hot tub and wood oven to make your summer retreat complete. Check out the virtual tour and Contact Us for a tour today. Yesterday it was announced that the newly formed Highbury Canco had signed a letter of intent to step in and operate the iconic Heinz factory in Leamington. 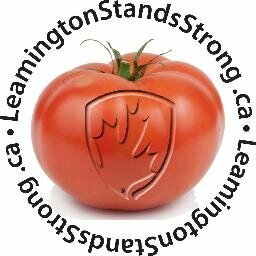 Assuming everything goes as it should, it is certainly good news for the town of Leamington as many farmers will continue to grow their tomatoes and some employees will be able to stay on the job. Moreover the factory will be bustling this fall as wagons roll into town with their harvest and the scent of processing tomatoes will once again hang in the air. When the announcement that Heinz was going to cease operations at the factory was made last November, a citizen group formed the Leamington Stands Strong movement. LSS describes itself as “a community-based, non-partisan, volunteer initiative created in response to the shut-down of the Heinz plant in Leamington.” Their mission is “to keep Leamington strong by encouraging the community to buy local products and support local businesses, which will lessen the negative economic impacts of the closure.” Essex county is one of the most productive agricultural areas in North America. The economic impact of supporting and purchasing food products is really quite remarkable. According to LSS, “if every Windsor/Essex household spent just $10 per week more on LOCAL products and services, that would be an additional INVESTMENT of $1.5 million in our economy weekly, which is $78 million annually!” Economic impact aside, local produce is fresher and fresh tastes better! In an effort to encourage the locavore movement, LSS has on their site a pledge form that asks participants to support local business whenever and wherever possible. While yesterday’s announcement is great news for the community it does not diminish the need to support local producers and find the ability to strengthen the community from within! We are taking the LSS pledge and are encouraging everyone else in the community to do so. If you’re near the office, come on in and sign the form. We’d love to chat about the advantages of going local. You can also download a copy, to give to your friends, family and neighbours. For a great resource on what’s being produced locally check out the following link. It’s quite an expansive list! We’re excited to hear that many tomato farmers and processors are going to continue to be able to do what they’ve been doing well for over a century at Heinz. We’re also excited to take on the challenge of discovering and meeting local producers year and beyond. It might be cold out but lots of houses are still being listed and sold! Here’s a quick update on 2 new listings added to our inventory in the last week. 3184 Graham Side Road is a church in the county that was converted to a house a number of years ago. The nice thing about this property is the layout – the main floor is wide open. There is also a cool loft space over the kitchen. The basement is finished complete with a family room and 2 bedrooms (one with an ensuite). There are also two gas fireplaces which help to heat the home in the winter. 70 Mill Street East is conveniently located near downtown Kingsville. Perfect for the first time buyer it is full of potential. The rear yard is generously sized. Both these homes are action priced so don’t wait, Contact Us today for a personal tour before they’re sold!